The only thing that could come between these sisters ... is a kingdom. Anne (Natalie Portman) and Mary (Scarlett Johansson) Boleyn are two competitive sisters in the 16th century who are both after the same prize: King Henry VIII (Eric Bana). Luckily for them, Henry isn't choosy, so he alternates between the beautiful women. Unluckily for one of them, she'll find her neck underneath the executioner's blade. $8.203 million on 1166 screens. A fictional take on history comes to us via 2008’s The Other Boleyn Girl. Set in the 16th century, English King Henry VIII (Eric Bana) demands a male heir, something that his wife Katherine of Aragon (Ana Torrent) fails to provide. This opens an opportunity for a mistress to step in and take over a position of potential power. Sir Thomas Boleyn (Jim Sturgess) seeks this step up in prestige and volunteers his eldest daughter Anne (Natalie Portman). Anne initially doesn’t like being pimped out in this manner, but her ambitions win out and she agrees to it. However, the plan goes awry when the King takes notice of Anne’s newly married younger sister Mary (Scarlett Johansson). Mary and Anne become Ladies-In-Waiting to the Queen, and even though Mary resists this move, she quickly falls for the King and enjoys their semi-hidden romance. Matters change before too long, and Anne re-emerges as a contender. A romantic rivalry between the sisters evolves, and the film follows these affairs. On the surface, one could mistake Girl for a standard period chick flick. While it does offer some romance, that side of things doesn’t come to the forefront. Instead, the story concerns itself more with politics, sexual and otherwise. Indeed, Girl paints a rather cynical view of 16th century society. That setting clearly cared little for the concept of romantic love. Practical matters of social standing and success meant a whole lot more, and we see the way those issues play. Parents use their kids simply as pawns to enhance their own situations; personal desires matter not in the least. It’s a dark take on the cold, calculating nature of that era’s machinations. Because of this, Girl becomes a darker than anticipated tale, and that allows it to offer interest beyond the expected sappy chick flick. Director Justin Chadwick gives the film the sort of gauzy, romantic feel one expects from the kind of effort, but he doesn’t engage in the standard sappiness. The film comes with real bite. Some good performances bolster Girl as well. A few dodgy accents arise, but the actors manage to overcome these minor issues. Portman proves conniving and sly, which makes her a serious contrast with the meek innocence of Johansson’s Mary. Both play their roles in honest, believable ways that help pique our interest. All of this turns The Other Boleyn Girl into a satisfying piece of work. It indulges in a little standard romance, but it focuses more on the era’s social politics and personal conflicts. These factors allow it to prosper and turn into a compelling film. 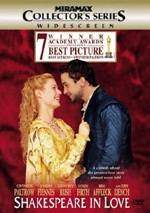 The Other Boleyn Girl appears in an aspect ratio of approximately 1.85:1 on this single-sided, double-layered DVD; the image has been enhanced for 16X9 televisions. The transfer provided acceptable visuals. My main complaint related to sharpness. Though most of the movie seemed reasonably crisp and concise, bouts of softness interfered. These occurred mainly in wide shots, as those images tended to be a bit ill-defined. No issues with jagged edges or shimmering occurred, though some light to moderate edge enhancement appeared. Source flaws remained absent. Period flicks tend to go with stylized hues, and that was true of Girl. It usually favored a muted golden look, so don’t expect too many dynamic colors. Within the visual design, the tones seemed well-developed and full. Blacks were dark and tight, while shadows showed good delineation. This was good enough for a “B-“. I also thought the Dolby Digital 5.1 soundtrack of The Other Boleyn Girl deserved a “B-“, though more due to a lack of ambition than because of flaws. The soundfield remained oriented toward the front and didn’t boast many memorable sequences. Music showed nice stereo imaging, and effects displayed decent environmental material. The surrounds bolstered these elements to a moderate degree, but they didn’t add a lot to the proceedings. No issues with audio quality emerged. Speech was natural and concise, and effects seemed accurate. They displayed good range and clarity. Music was lush and full throughout the movie, and low-end seemed perfectly adequate. Nothing exceptional occurred here, but the track was fine for the material. When we move to the DVD’s extras, we start with an audio commentary from director Justin Chadwick. He offers a running, screen-specific chat that looks at how he came onto the project, script and characters, sets and locations, cinematography and shooting HD, research and period details, cast and performances, music, and a few other production issues. Chadwick offers a generally good commentary, but he doesn’t make this a terribly memorable piece. He tends to sag at times, so expect sporadic gaps in information. However, he does chat most of the time, and he provides reasonably useful notes. It’s not a scintillating discussion, but it’s worth a listen. 12 Deleted and Extended Scenes run a total of 22 minutes, 50 seconds. We find “Mary’s First Night” (0:58), “The Other Sister” (1:57), “What They Want Is You” (0:39), “Mary’s First Night With the King” (3:54), “The King’s Fortune” (2:38), “William Asks for Forgiveness” (1:36), “Stafford Visits Mary” (2:54), “William Carey Dies” (0:50), “George Visits Mary at Church” (0:33), “Anne Needs Mary” (1:26), “Anne Takes Little Henry” (3:01), and “Alternate Ending” (2:22). Expect quite a few slightly extended scenes here. For instance, “First Night” and “Other Sister” don’t offer memorable additions to the existing sequences. Some others tend to be meatier, but only a few prove to be moderately useful. Mary’s husband gets a little more exposition here, and a few relationships earn somewhat greater depth. I don’t think any of the cut sequences were crucial, though, so I can’t say that they go missed from the final film. As for the “Alternate Ending”, it shows Henry VIII as he rescues Anne from the executioner’s blade and they live happily ever after. Okay, I made that up. Instead, the “Alternate Ending” just provides slightly different text. It’s not terribly “alternate” at all. Members of the Court: Character Biographies lasts 16 minutes, five seconds. We get comments from screenwriter Peter Morgan, novelist Philippa Gregory, USC Professor of Early Modern British History Dr. Polly Ha, ASU Professor of Tudor History and Tudor Women Retha Warnicke, UCLA Professor of Early Modern England Muriel C. McClendon, producer Alison Owen and actors Natalie Portman, Scarlett Johansson, Eric Bana, David Morrissey and Jim Sturgess. These snippets look at Anne, Mary and George Boleyn, King Henry VIII, Katherine of Aragon, and the Duke of Norfolk. They offer quick glimpses of the characters, so don’t expect much detail. Nonetheless, they help flesh out our understanding of them, so they’re worth a look. Three featurettes follow. To Be A Lady goes for 10 minutes, 33 seconds and includes Gregory, Portman, Warnicke, etiquette coach Noel Butler, and actor Kristin Scott Thomas. The program looks at the status and lives of women in the 16th century. As with the “Biographies”, the program provides a pretty superficial piece of history, but that doesn’t mean it’s not useful. We get some interesting background that helps add to our appreciation of the movie’s events. Translating History to Screen fills 10 minutes, five seconds with notes from Johansson, Bana, Gregory, Owen, Morgan, Portman, and Chadwick. The show tells us a little about the novel and its adaptation, characters and performances, and social issues in the period depicted. “Screen” gives us a decent look at how the filmmakers brought the tale to life. It delves into various story and character elements in a satisfying manner. Finally, we find Camera Tests with Narration by Director Justin Chadwick. This two-minute and 15-second collection looks at sample footage created to determine if HD photography would work for the film. Chadwick tells us a little about his choices in this mildly interesting piece. A few ads open the DVD. We get clips for Blu-Ray Discs, Hancock, and Persepolis. These also appear in the Previews area along with promos for House Bunny, 21, Vantage Point, Married Life, The Band’s Visit, Across the Universe, The Jane Austen Book Club, Made of Honor and Prom Night. Although I expected a sappy chick flick, The Other Boleyn Girl instead provided a crisp and dark view of 16th century society. Bolstered by some fine performances, the movie keeps us interested and entertained. Both picture and audio quality are acceptable but unexceptional, while the supplements provide some useful components. Though this isn’t a great DVD, I like the movie, and the disc supports it well enough to earn my recommendation.